Try these light and fluffy Lemon-Ricotta Pancakes with Berry Coulis. From Crest Cafe, San Diego, Calif.
With hip, comfortable food and a retro diner look made slightly prim and proper by church pews enjoying their second life as cafe seating, Crest Cafe has been packing in Hillcrest-area habitués since 1982. Favorite menu items include a famous “onion loaf” (a deep-fried tangle of battered rings), grilled sandwiches, and honey-glazed pork chops. 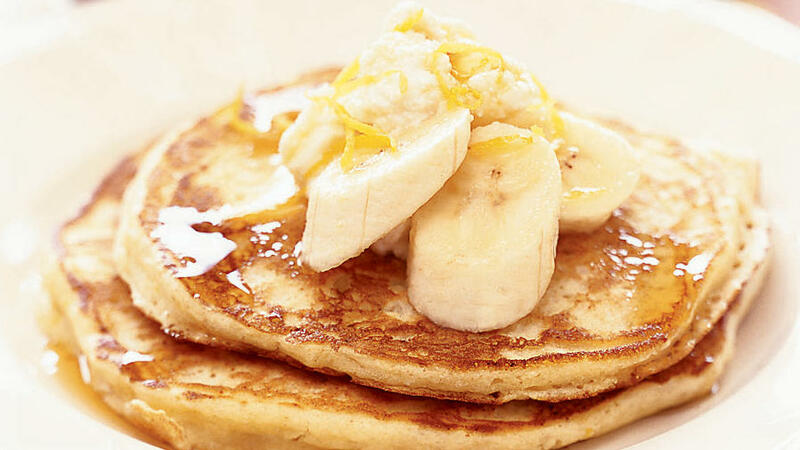 On weekends, breakfast specials such as the divine lemon- or orange-ricotta buttermilk pancakes and blackberry-topped whole wheat-cottage cheese “power pancakes” raise pancake expertise to an art form.